The U.S. average retail price of diesel jumped 7 cents to $2.973, nearly a three-year high, amid bitter cold across much of the country that boosted demand for distillate fuel. Distillate fuel includes heating oil and ultra-low-sulfur diesel. 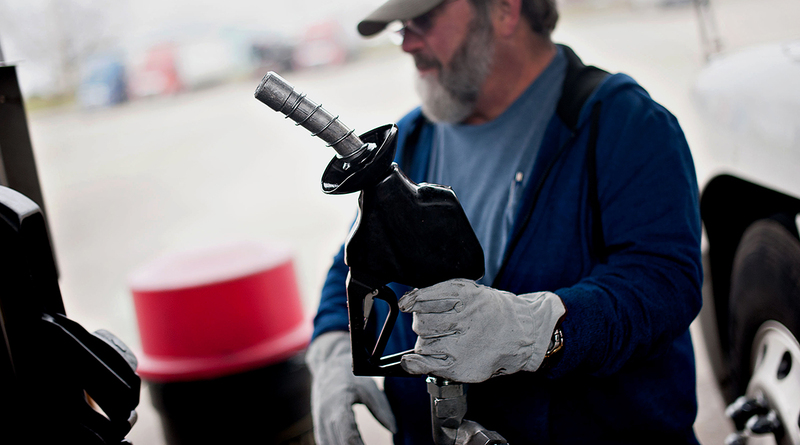 The 7 cent jump was the highest since Nov. 6, when diesel rose 6.3 cents a gallon. The average price was the highest since Jan. 12, 2015, when a gallon of diesel cost $3.053. Diesel costs 38.7 cents more than it did a year ago, when it was $2.586 a gallon, the Department of Energy said Jan. 2. Average regional prices for trucking’s main fuel rose in all areas. At the same time, the freezing temperatures pushed into southern Texas and central Florida after sweeping across much of the country, including the northern Plains, Great Lakes, Northeast, New England and Mid-Atlantic regions, according to the National Weather Service. As a result, bullish positions on diesel rose by 26% to a record as the cold snap boosted heating demand, Bloomberg News reported Dec. 29. The U.S. average price for regular gasoline rose 4.8 cents to $2.520 a gallon, DOE’s Energy Information Administration said. Weekly gasoline prices climbed in all regions except the Rocky Mountains where it dipped 1.3 cents, EIA said. There are several tips for fueling up in cold weather, Jack Legler, technical director of the Technology & Maintenance Council of American Trucking Associations, told Transport Topics. For example, “be consistent in your use of a fuel supplier throughout the season to make sure that you are getting the right formulation of deicer and stabilizer additives for your operating environment that are used throughout the cold season, not just when temperatures are extreme,” Legler said. To reduce the chances of clogging due to ice or wax, change fuel filters early in the season. To reduce the introduction of moisture or contamination into your fuel, avoid fueling immediately after fuel is delivered into storage tanks. Plus, keep tanks full overnight when there are significant swings in temperature and drain fuel/water separators frequently to reduce the chances of ice formation. Meanwhile, over the past year, ultra-low-sulfur diesel had the largest price increase among energy commodities. The spike came from increased global trade and accelerating global manufacturing activity that drove relatively high global distillate consumption, according to EIA, citing data in the Standard and Poor’s Goldman Sachs Commodity Index. Gasoline prices did not increase as much as distillate and crude oil prices. U.S. gasoline consumption growth slowed from 2016 to 2017 compared with the prior two years when sharp declines in gasoline prices, among other factors, contributed to strong gasoline consumption growth, EIA reported. Plus, crude opened the year above $60 a barrel amid anti-government protests in Iran, the Organization of Petroleum Exporting Countries third-biggest crude producer, according to Bloomberg. West Texas Intermediate crude futures on the New York Mercantile Exchange closed at $60.37 on Jan. 2, compared with $57.97 on Dec. 26. WTI prices averaged $51 a barrel in 2017, up $7 a barrel from the 2016 average, EIA reported. In the meantime, fleets’ interest in using alternative fuels is continuing, one leasing executive said. “Our involvement with alternative fuels is really on the cutting edge of where the heavy duty, and trucking industry, is going as a whole. It is very important throughout the country to meet our sustainability goals,” said Dean Stapleton, senior manager of alternative fuels at Penske Truck Leasing. Penske has been involved in alternative fuels for 25 years. Its trucks using alternative fuels operate in the continental 48 states. The vehicles include more than 350 compressed natural gas trucks, more than 50 propane straight trucks and electric buses and vehicles, he said. “Our biggest growth in alternative fuels is with existing customers. Somebody will lease a truck and then that will rapidly turn into two or three or more. Some of the things our customers like about the natural gas trucks are how quiet it is in the cab, no smell of diesel and the pride of driving a low-emission vehicle,” Stapleton said. Penske Logistics ranks No. 21 on the TT Top 100 list of the largest for-hire carriers in North America.